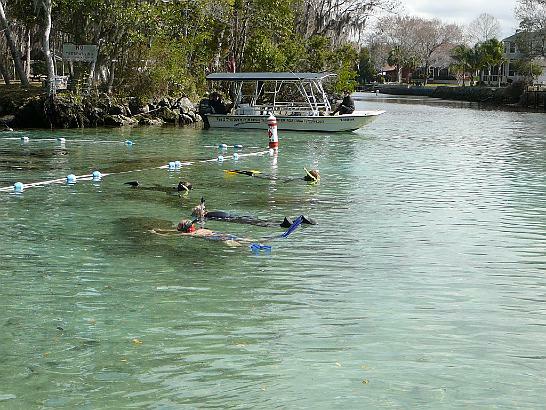 Here you see 4 snorkellers visiting with several manatees. The manatees are the dark shadows under the humans. You are only allowed to touch the manatee if it comes up to visit.